A new $3 million grant from the Department of Defense will help the University of Central Florida’s RESTORES clinic develop its own virtual reality software to treat first responders, veterans, active duty personnel and civilians with post-traumatic stress disorder and other trauma-related disorders. The clinic currently uses third-party software. However, the new grant will allow RESTORES to develop its own software to address a wider range of scenarios, such as those faced by first responders and survivors of mass shootings or sexual assault as well as situations veterans and active duty personnel face. The grant will also help test ways to increase the software’s effectiveness. “We are honored that the Department of Defense has recognized the success of our treatment program and continues to entrust us with funding that allows us to provide cutting-edge treatment based on rigorous clinical science,” says Deborah Beidel, director of the RESTORES clinic. RESTORES began in 2010 with the purpose of treating veterans and active-duty military personnel with combat-related PTSD. After the Pulse night club shooting, services expanded to include first responders and survivors of mass shootings. Since opening, it has treated more than 450 combat veterans and first responders. In September 2018, the PTSD clinic at UCF RESTORES became known as the Rosengren Trauma Clinic, after a generous donation from Julia and Jim Rosengren ’81, whose son benefited from the clinic’s treatments. Results have shown that 66 percent of combat veterans and 73 percent of first responders no longer met the clinical definition of PTSD after treatment. 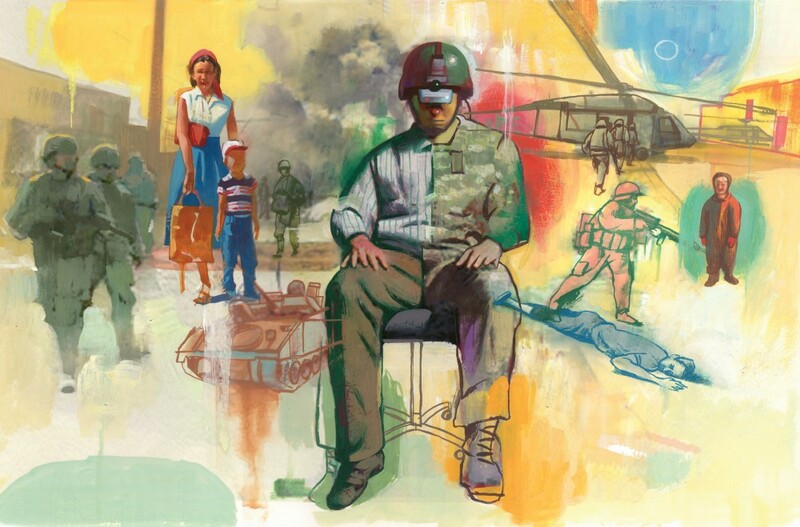 RESTORES’ PTSD treatment includes a three-week program that combines virtual reality and group therapy sessions on guilt, anger, resocialization, insomnia and more. The virtual reality sessions expose patients to videos of scenes of traumatic situations, such as war, and couple these images with the sounds of gunfire and explosions along with the smells of smoke and gunfire. The idea is that exposing patients to the traumatic experiences will help reduce their stress about them. RESTORES is located in the psychology building on UCF’s main campus in Orlando, and it also has a recently opened Brevard PTSD Clinic located in the UCF Cocoa building on the Eastern Florida State College campus. The treatment program currently provides treatment at no cost to Florida residents. The program has been awarded more than $10 million worth of grants in the past few years. Beidel received her Ph.D. and M.S. in psychology and M.Ed. in rehabilitation counseling from the University of Pittsburgh and her B.A. in psychology from Pennsylvania State University. She has been with UCF since 2007.